Please include attribution to clearwaterleakdetection.com with this graphic. Last year, 1 trillion gallons of water was lost in the United States due to water leaks. According to the Environmental Protection Agency, that’s equivalent to the annual household water use of more than 11 million homes. We want to help change that. Clearwater Leak Detection is dedicated to water conservation by reducing common household and commercial leaks for two reasons: to save people money and to protect our environment. Access to clean, fresh water is something we take for granted. Millions of people die each year due to waterborne bacteria and illnesses and an estimated 800,000 children under the age of 5 die as a result of diarrhea each year. Unsafe drinking water remains out of reach of almost 800 million people worldwide. This is an unacceptable reality. The Safe Drinking Water Act (1974) is the primary federal law to ensure the quality of drinking water in the United States. Under this law, the Environmental Protection Agency sets water quality standards and oversees state and local water suppliers in order to verify those conditions. A 1998 EPA program resulted in the Water Conservation Plan Guidelines, a detailed overview for public water providers and systems. The document details everything from pricing to water accountability at three different levels depending on system size. The Drinking Water State Revolving Loan Fund provides loans to water suppliers, but qualification for funding may require suppliers to prepare a water conservation plan within the Water Conservation Plan Guidelines. 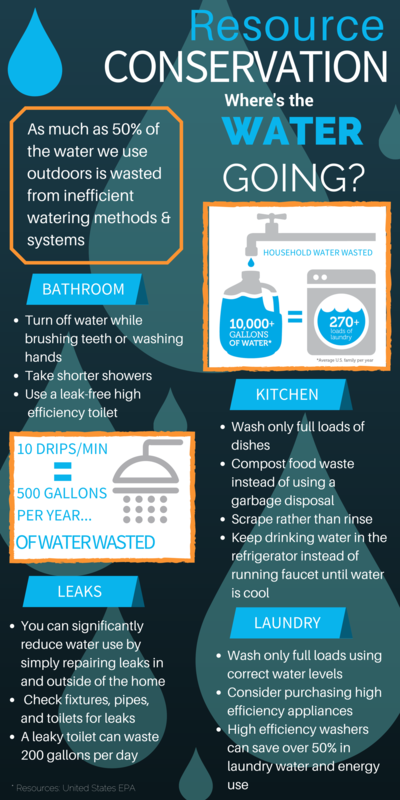 Seattle, Washington offers some of the county’s most aggressive and beneficial water savings programs for residents. The Saving Water Partnership, which consists of 19 water districts in and around the city, offers rebates for purchases of Water Sense products, water-efficient commercial washers, and more. Furthermore, the Washington State Department of Health mandated water efficiency regulations, requiring water suppliers to use water more efficiently to help facilitate growth and curb water waste. In 2003, the state legislature passed the Municipal Water Law to address the increased demand on the public water supply in Washington. A Water Use Efficiency (WUE) program, overseen by the Office of Drinking Water, was created to help foresee water shortages due to drought, climate change, growing populations, and fewer potential sources of fresh water. 1. Protect against water service interruptions during peak use. 2. Avoid long-term or recurring water service interruptions due to limited supply. 3. Prevent contamination and water loss due to leaks and inefficient systems. The Puget Sound gets a lot of rain per year, which is a blessing and curse. Our crops enjoy year-round soil moisture, our natural spaces are green and bountiful, and our streams run full, but with these benefits come a few problems. Sewers overflow, streams erode, and pollutants from urban areas get washed into the ecosystem. Since two-thirds of our rainfall comes between November and March, the average rainfall for July and August is less than two inches (Tucson, Arizona gets more in the same period). Water conservation methods to harvest and utilize rainwater has proven to be a successful venture for homeowners and businesses. Residents can purchase a rain barrel from the city and adjust their home’s downspouts to catch rainwater for use in their lawn’s irrigation later in the year. While these methods won’t show significant savings in your utility costs unless you utilize more than one barrel, the biggest impact will come in your decreased water consumption during high usage months in July and August.